I try to keep tabs on the vegan spots around Chicagoland so it was somewhat shocking when a friend told me about Delicious, a vegan cafe that’s a five minute walk from my favorite bowling alley. I had never heard of Delicious and felt pretty dumb about that. What was this place hiding? Anyway, I was really ecstatic to know that there was a great vegan place nearby. I like going to Delicious after an afternoon of bowling for an iced Americano. They have a full coffee/espresso/tea menu along with pastries, sweet treats, sandwiches, and smoothies. I stopped in with a non-vegan friend one time. She ordered a chai tea latte and declared it the best she had ever tasted. I love that I can add soy or almond milk or coconut milk creamer to my drink! One small but really smart and impactful choice they have made is to provide real teaspoons for customers to mix their drinks instead of disposable stirrers. The cafe is really cozy, very bright, and colorful. The times I have been there, I’ve seen people chatting, people studying or working, and people just hanging out and enjoying their coffee. It’s a cool place with smart and charming decor; some of their chairs are exactly like the ones that were in my Grandma’s house when I was growing up. It’s very obvious that the owners of the cafe do what they can to avoid waste. They’re planet-friendly along with animal-friendly! 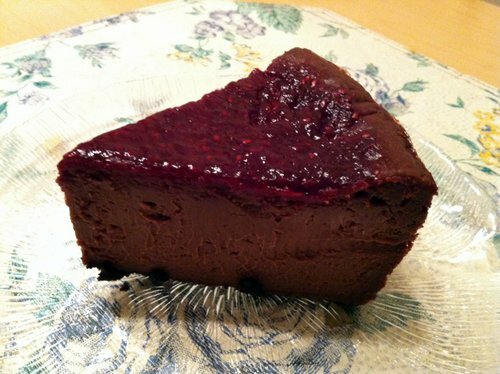 The cheesecake is vegan, of course, and is a Chicago Diner product. 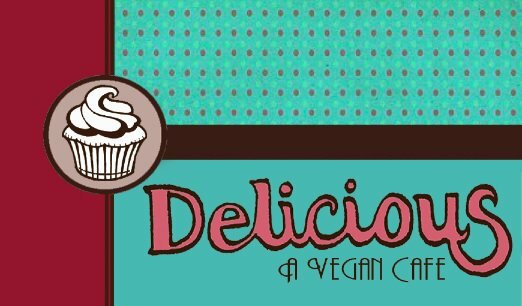 One of the great things about Delicious is that they get products from local vegan bakeries and restaurants, and the selection is always different and fresh. They use Metropolis coffee beans which are roasted right here in Chicago. I wish I could easily stop by before or after work for coffee and food! They also offer gluten-free items. If you’re ever in Chicago, specifically in the North Center neighborhood, you need to stop by Delicious for a treat — even if all you want is a cup of coffee. Sure, Starbucks is two blocks away, but why go there when you can support this great local business that has vegan treats?